Some companies’ April Fool’s jokes made foodies eyes light up at the sight of an exciting new menu item, and then they broke their hearts by revealing that it was, in fact, just a prank. 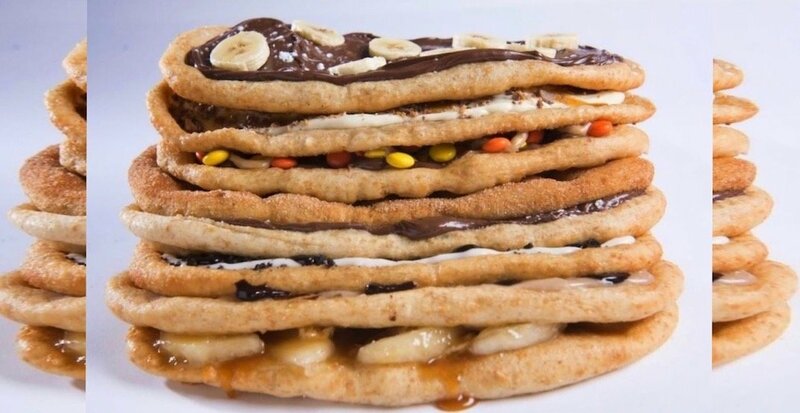 BeaverTails fans who wished the brand’s Super Snacker eight-layer pastry treat was real woke up this morning to some good news. 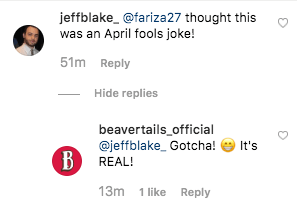 The Canadian company revealed on April 2 that its “prank” was going to be a thing in real life at select locations across the country. The $55 treat is made from eight signature BeaverTails varieties including Apple Cinnamon, Maple, Coco Vanil’, Chocolate Hazelnut, Cinnamon & Sugar, Triple Trip, Avalanche, and Banana Chocolate. The Super Snacker can be ordered straight to your door in certain cities via food delivery services. If you’re in these areas be sure to order this concoction and see if all the hype is worth it.